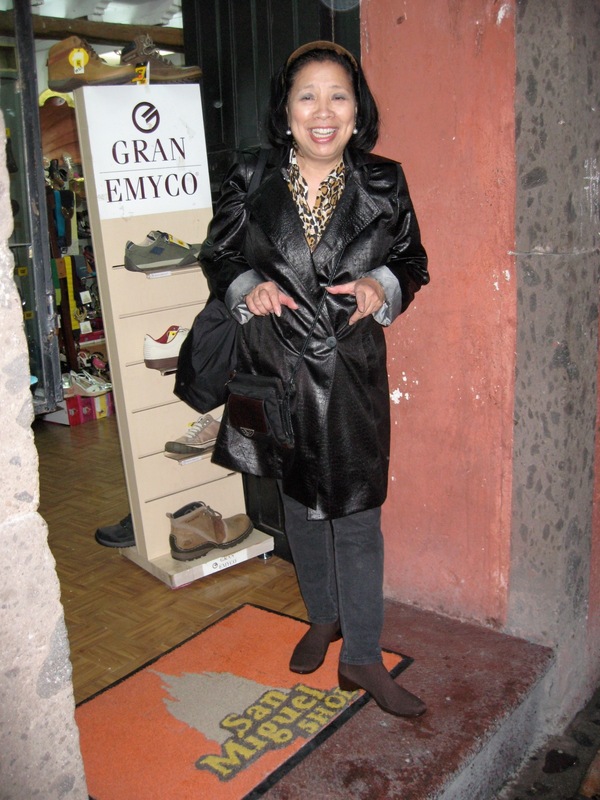 During my recent scouting trip to San Miquel de Allende for my upcoming “Tao of Youth Age Reversal Retreat” (March 9-11, 2012), I noticed my American shoes were not adequate for navigating the narrow, cobblestone streets of this 16th-century town in the middle of Mexico. My shoes did not provide enough ankle support for those bumpy streets. My feet wobbled and I walked awkwardly. 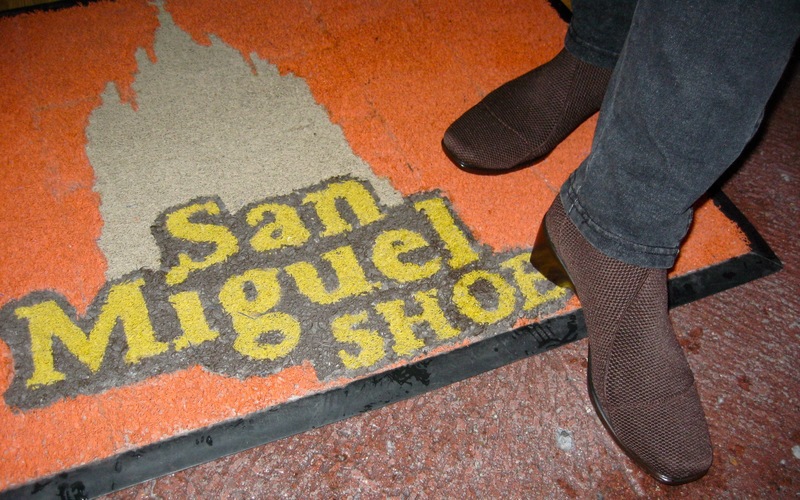 Then I spied a shop on Canal Street with a sign that said, “We have San Miguel Shoes!” I learned that the husband and wife designer team of Martha and Santiago created these shoes especially for walking on cobblestones (their daughter Paulina runs the business today). I am sure you can also wear hiking boots, but they’re not my style. I like shoes that can look good and also be functional. Needless to say, I immediately bought a pair of San Miguel shoes. They are just fabulous and they look good and also are very comfortable. You do not need to break them in–I was walking the streets immediately and enjoying the sights. My new shoes grab my ankles, keeping me steady all the time. I highly recommend you purchase a pair while you are in San Miguel de Allende. I hope you’ll consider traveling to San Miguel de Allende with me for the retreat March 9-11, 2012. I cannot tell how much I enjoyed my scouting trip. I had heard of San Miguel from friends who went for a short visit and ended up staying for months, and from my friend Anne who moved there and doesn’t plan to come back. I figured it was time to see this magical place for myself, and now I hope to share it with you!